ELEVEN victims of child sexual abuse at Yeshivah in Melbourne have called for the entire Committee of Management (COM) and Board of Trustees to step down. “We strongly believe that the removal of yourselves, as well as key staff and volunteers from the Yeshivah Centre who have been implicated in any way in this ongoing scandal, is now required,” the victims said in a statement. They said leaders of the school created the major failures that allowed abuse, which was revealed at the recent Royal Commission, to take place. “Accordingly it is essential for you all to step down immediately in recognition of these failures – whether you were in a leadership position at Yeshivah during the period of sexual abuse, the subsequent cover-ups or, more recently, the intimidation directed at victims and their families. Yeshivah Centre announced last week that four members, Don Wolf, Chaim New, Yirmi Loebenstein and Sue Susskind, have stepped down from the COM and Rabbi Shimshon Yurkowitz will “transition off the Committee in the near future to take care of his community”. 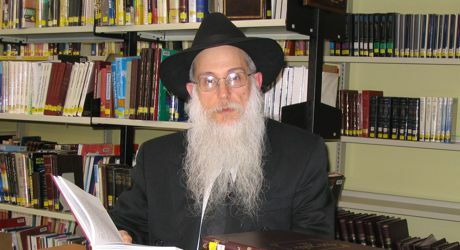 Rabbi Avrohom Glick, who was principal of Yeshivah College from 1986-2007, during which time there were a number of incidents of child sexual abuse, resigned from all leadership positions at the Yeshivah Centre last month. The Yeshivah Centre said last week that it is committed to making the centre and the school better, stronger, and more transparent. It will establish an independent committee to develop and implement a scheme to respond to the needs of victims of abuse in the coming weeks, will commence a consultation with parents and others in the community on the operations and performance of the school and will commence an independent review of the governance arrangements of the Centre, including the transparency of the Committee. Originally published at Australian Jewish News.